To detect and study exoplanets, ExTrA uses three 0.6-metre telescopes. 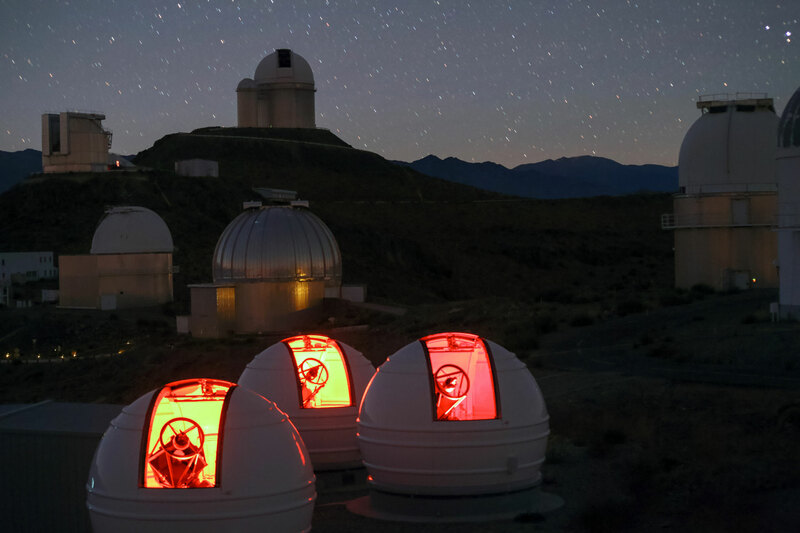 They regularly monitor the amount of light received from many red dwarf stars and look for a slight dip in brightness that could be caused by a planet passing — transiting — across a star’s disc and obscuring some of its light. The transit method involves comparing the brightness of the star under study with other reference stars to spot tiny changes. However, from the ground it is difficult to make sufficiently precise measurements this way to detect small, Earth-sized planets. By using a novel approach that also incorporates information about the brightness of the stars in many different colours, however, ExTrA overcomes some of these limitations. Be the first to comment on "ExTrA Telescopes Successfully Make First Observations"